Workshops, presentations – guest speaker for schools and public events. 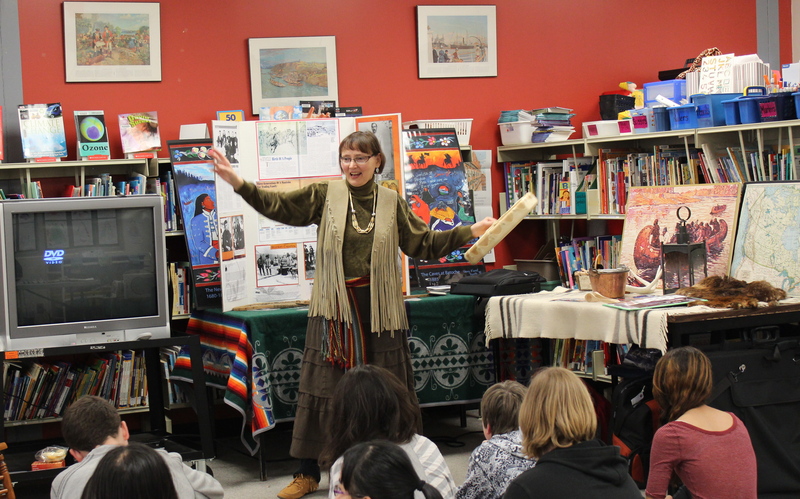 Students learn fur trade history through storytelling, music, dance, film and visual arts, as well as hands-on artifact displays and cultural items. 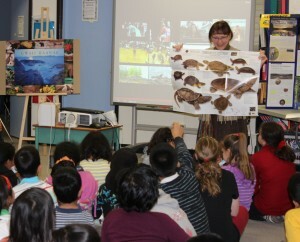 Themes also include natural history, conservation and ecology with an Aboriginal perspective. 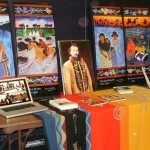 Also contemporary themes of identity and culture can be explored through my TV series “Urban Aboriginal”. View my downloadable printable trifold brochure. As a storyteller and filmmaker, my presentations are interdisciplinary, covering a wide range of curriculum subjects – history, geography, social studies, science, music, art. 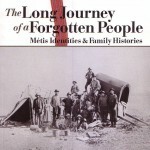 (Specifically with a Métis and Cree cultural focus.) I tell stories about fur trade family life. 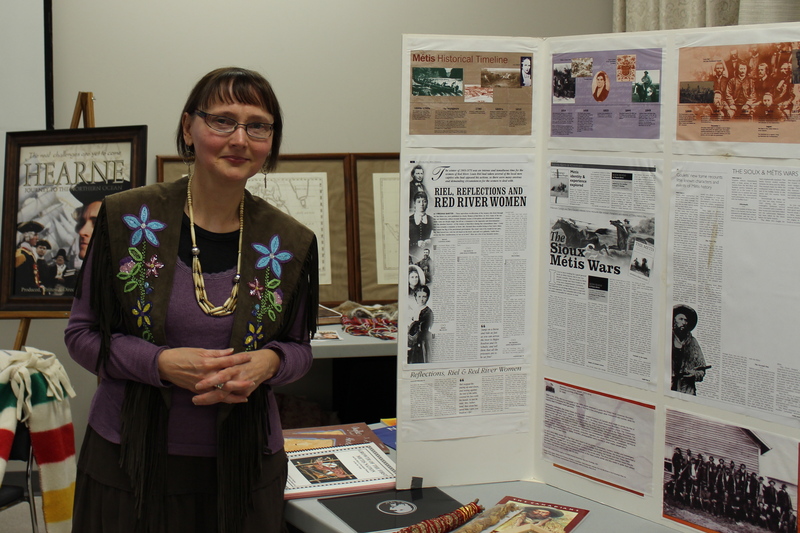 Presentations typically include a hands-on display of Métis artifacts and cultural items and educational panels. 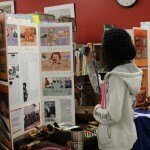 Workshops may include dramatic re-enactments and filmmaking – “heritage moments”, as well as media studies. 1. 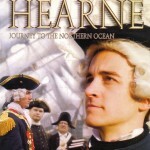 History Through Films – the story of Samuel HEARNE . 2. 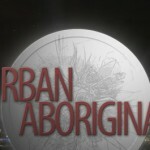 Urban Aboriginal TV Series – contemporary issues and themes – media studies. 4. Storytelling – “Searching for the Silver Fox” – Fur Trade Family History; and “The Four Directions” – storyboard/map project. Digital storytelling projects and more. 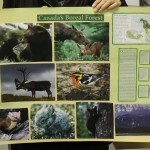 * Saving the Carolinian Forest – Southern Ontario’s unique eco system – science of wetlands conservation and forest management. Vary depending on presentation needs and materials. SECONDARY TEACHERS TAKE NOTE: Toronto District School Board – NAC 10 program for participating Grade 9 art classes. I am listed on the artist roster for this program. Bookings are ongoing. Artists’ fees are covered through the TDSB Aboriginal Education Centre. ELEMENTARY TEACHERS: Planet in Focus Environmental Film Festival – Eco Film Lab . . . If you want a filmmaker to help your class make a film for competition, or if you just want someone to come in and talk about the basics of filmmaking, contact Planet in Focus at 416.531.1769 to find out more. I am one of the filmmakers available for booking. ONTARIO ARTS COUNCIL – Artist in Education programs CHANGES! New for 2018 . . . The Indigenous Artists in Communities Projects and Indigenous Artists in Schools programs have been merged into one program with two deadlines. The Indigenous artists in northern Ontario fly-in communities category, with a maximum grant of $17,000, is now open to community arts projects, as well as school projects. If you are interested in collaborating on a project, contact me to discuss it. Teachers take note for 2017 . . .
TDSB Arts CO-OP Program runs at Eastern Commerce. 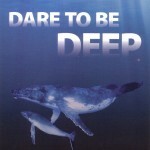 This program runs from Feb. 21 – mid June. (Drama, dance and film/media.) I was the facilitator for the Film/media strand in 2017. To learn more about the program, contact Lorraine Suthern at the TDSB Arts Department or the Aboriginal Education office. This is open to students of all backgrounds. Aboriginal students are especially encouraged to apply. 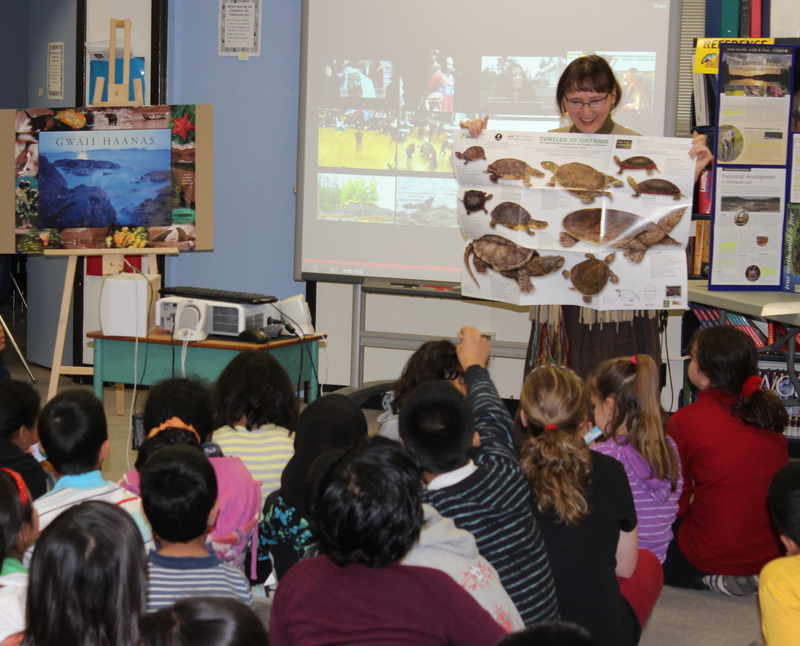 Ontario Arts Council – Aboriginal Artist in the Schools Program is changing. My bookings for 2016 are finished. 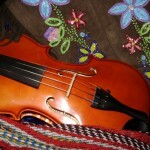 (See above) Check the OAC’s new website for details of new Artists in Education program initiatives. I was selected as a writer in residence for “Just Read It” program for the 2016/17 school year. Thank you to the TORONTO DISTRICT SCHOOL BOARD for this wonderful support of local authors. Click on these links to see the list of authors and their bios, as well as the schools who won visits last year.